The tour bags of the top pros are understandably generally crammed full of their sponsors’ very latest gear, but just occasionally you whip a headcover off to find something a little older or more unusual. We uncovered a real pearl this morning while talking to amiable Frenchman Raphael Jacquelin about the contents of his TaylorMade tour bag. 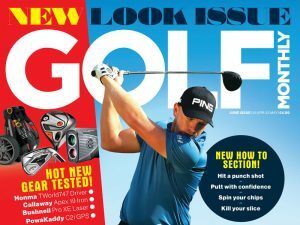 Working down from driver to putter, it started off with a mix of TaylorMade’s very latest and more recent products. But the putter headcover then came off to reveal an exquisite work of art the like of which I’ve rarely seen – a ValGrine Dandy Haute Creation No. 1/3 putter. Jacquelin told us that it had been made by an engineer friend of his, and he was currently trying it out. 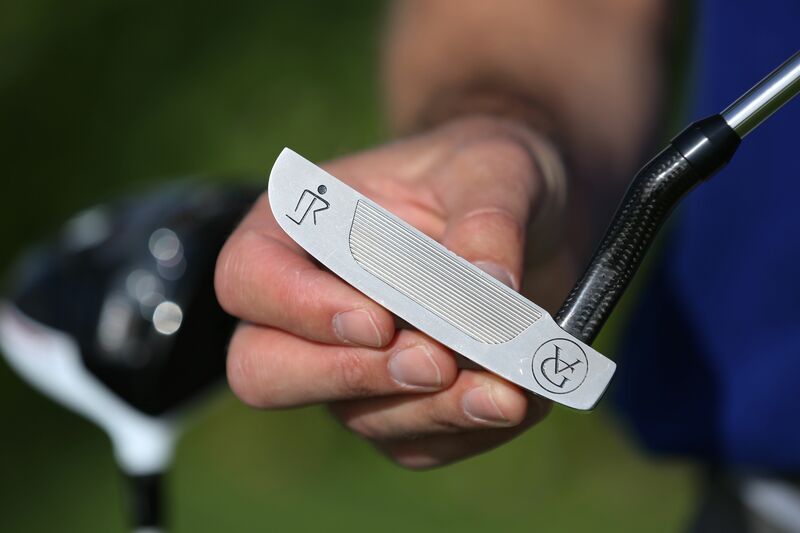 As well as looking extremely stylish, with its unusual curved carbon-fibre neck, it also boasts a number of other really neat little touches that had all those in attendance paying extra attention as the ‘What’s in the Bag’ interview drew to a close. 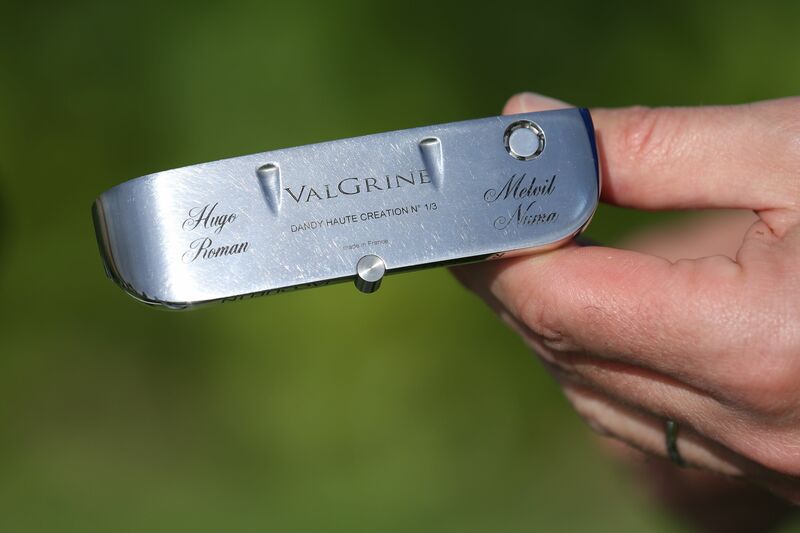 The milled face features Jacquelin’s logo towards the toe as well as that of its creators, ValGrine, towards the heel. The rear flange then has Jacquelin’s name etched into it, while the sole bears the names of the Frenchman’s four sons – Hugo, Roman, Melvil and Numa. The grip is made of luxurious grey leather. As soon as I got back to the media centre I checked out the ValGrine website, and would advise anyone with a special interest in the club that we all use most to do the same. I’m afraid I can’t confirm the pricing, but can confirm that this is a putter range blessed with rare elegance and style. Jacquelin’s putter may be a thing of great beauty, but does it work? We shall be looking at the Frenchman’s putter stats for this week’s Abu Dhabi HSBC Golf Championship with particular interest come Sunday night.